'Powers Court' is a power-trio formed by singer/guitarist, Danie Powers and bassist, Steve Murray. The group produced a self-financed, three song demo under the original band name, 'Equinox', which was founded by Danie Powers. This effort was followed with the release of the band's self-financed, self-titled CD in 1996 under the name, 'Powers Court'. 'Powers Court' was signed to Audioglobe, SRL/Dragonheart Records, whose home office is in Firenze, Italy in 2000. The band released their next CD, 'NINE KINDS OF HELL', in 2001 on Dragonheart. 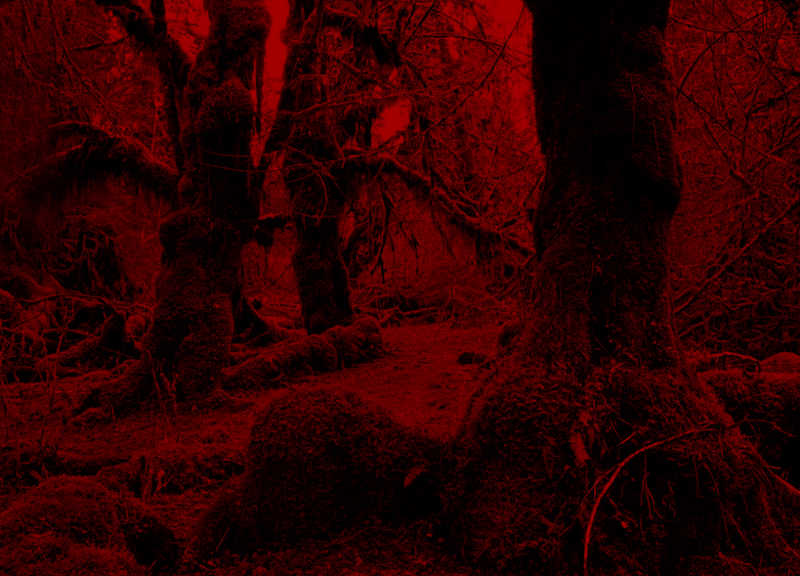 Their third effort and most recent CD, 'THE RED MIST OF ENDENMORE', was released in 2008 on Dragonheart. Danie Powers began vocal training and piano lessons at age five. She sang choir for nine years under the direction of Professor Max Hiendlmayr of Bavaria. Emphasis on Requiem Masses. She began guitar lessons at age 10, but eventually abandonded lessons in favor of 'playing by ear'. 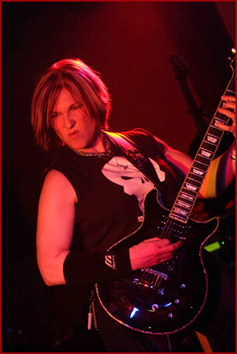 Powers entered the realm of Heavy Metal as vocalist/front person for the cover band, 'Mean Streak' that performed tunes by such artists as JUDAS PRIEST, IRON MAIDEN, BLACK SABBATH, DIO and others. Tiring of cover tunes, Powers formed the three piece band, 'Crucible' which featured drummer Bob 'BLZBob' Blotevogel, bassist B.J. Blair and Powers on vocals and guitar. The group performed all original material written by Powers. 'Crucible' evolved into 'Equinox' which originally featured Blotevogel on drums, Monty York on bass and Powers again performing vocals, guitar and songwriting duties. During a recording session with 'Equinox', York decided to pursue different musical paths and Steve Murray stepped in as permanent bassist, producer and sound engineer. Discovering several bands both regional and national named 'Equionox', Murray came up with the current band name, 'POWERS COURT'. The band is named for the 'Powerscourt' castle and gardens in County Wicklow, Ireland that Danie Powers' ancestors once owned. In addition to six-string electric and acoustic guitar, Powers also plays seven-string guitar, four and eight-string mandolin, some keyboards and is in the process of learning electric violin. She is also a published author and penned the full length novella, 'THE RED MIST OF ENDENMORE' that is meant as a companion paperback to the 'Powers Court' CD of the same title. Steve Murray began musical training at Visual and Performing Arts School in St. Louis, MO at age 14. He began playing bass at 15 and acquired a taste for hard rock and heavy metal. Steve progressed rapidly on bass and joined local hard rock band, 'Exodust'. Exodust evolved into 'Razor Blaze'. Razor Blaze performed originals and metal covers (e.g., JUDAS PRIEST, IRON MAIDEN, OZZY, RUSH, etc.,). The band opened for such national acts such as ACCEPT, RIOT and BLACK OAK. 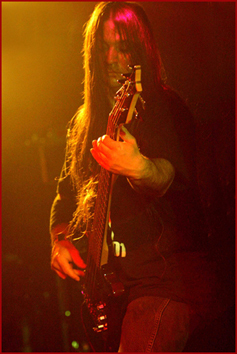 Steve wanted to pursue metal originals more seriously and was approached by Danie Powers (then of 'Equinox') about playing bass on a studio recording. The two formed a solid partnership and co-founded POWERS COURT. After several attempts at getting their unique sound captured in a studio environment and unable to find a producer with the same goals in mind, Murray, who is an accomplished sound and recording engineer, decided to take it upon himself to produce the band's recordings. Daniel Nydick hails from New Jersey and first caught the eyes and ears of the band with his extensive video portfolio on youtube.com. 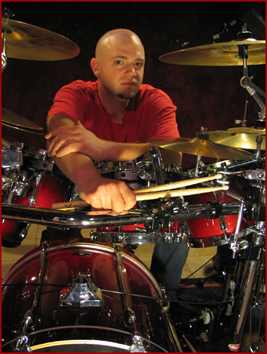 A huge fan of both King Diamond (Mikki Dee-drums) and Dream Theater (Mike Portnoy-drums), his progressive style and attention to detail fit nicely with the Powers Court sound. Daniel's intial meeting with the band was flying into Illinois to cover their Halloween 2007 gig. Nydick did a stint with the New York based band, 'En Vayne' and played venues such as New York's famed CBGB's before it's doors were closed.